Does Mehdi Abeid have a future at Newcastle United? Words by Kevin Doocey on April 11, 2014 . When I learned that Dan Gosling was to make an appearance in midfield for Newcastle United against Manchester United in his second only start for the club last Saturday it made me think of other midfielders on the books at St. James’ Park that we’ve not seen much of. Romain Amalfitano, Haris Vuckic, Gael Bigirimana are just three faces that have failed to make the cut at Newcastle just yet, albeit Haris is on loan at Rotherham. The Slovenian has not featured as much as NUFC would have hoped which is disappointing, but in his 17 games so far he has netted 4 times - not too shabby. Amalfitano’s case is a curious one - we clearly signed the wrong Amalfitano as Romain’s brother, Morgan, has been in fine form for West Bromwich Albion in their attempts to stay afloat in the Premier League. Bigirimana’s situation is slightly less perplexing as he is continuing to grow and develop his game, however; why there has been such a drop in form from scoring one week in the Premier League to lining out for the Development squad is another matter. The subject I have most interest in is Mehdi Abeid. The Algerian U-23 star is on loan in Greece with the ever reputable Panathinaikos who sit in third spot in the Greek Premier Division. 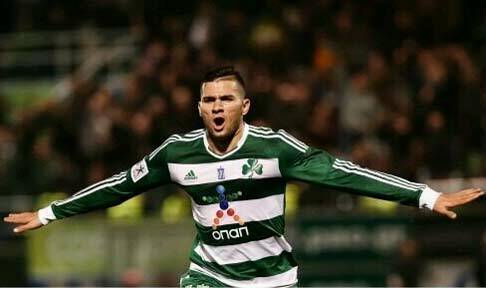 In 28 games for his side he has managed a return of 7 goals and reports emanating from Greece suggest that Abeid is catching the eye. Big things were expected of Abeid at St. James’ Park and despite tethering on the bring of the first team he never got the nod from manager Alan Pardew for the first team. Saying that, he is still very young at 21 years old so there is certainly time for him to convince us of his potential. Regular football is an essential component of young players progressing in the modern game so to see so many Toon lads out on loan - including the likes of James Tavernier, Adam Campbell, Conor Newton and indeed the exciting Adam Campbell is very positive. The question is - how many of these will progress to the first team and stay there? Personally I think Campbell certainly has a future at the club but needs the right coaching. Newton is unlikely to ever break the barrier to first team football while Tavernier could grab a chance this coming summer with the speculation surrounding our right-back position. Amalfitano will likely return to France permanently but hopefully Vuckic can get back to his best in a Black and White shirt. It wasn’t long ago that the Slovakian almost scored one of the most memorable left-footed strikes against WBA that St. James’ Park has seen. I’m interested - above the other candidates - to see whether Abeid can return from Greece and force his way into the Newcastle team as the squad reshapes itself this summer. What do you think? Does he have a future? Comments below, and feel free to follow me on Twitter @KevinDoocey. Hey, mate, Vu?ki? is Slovenian, not Slovakian! Indeed he is, what a controversial typo that is! Cheers for the spot.